The internet is chock full of "experts" — marketing executives, consultants, sales people — with advice for boosting your industrial sales. But wouldn't it be better if you could hear from the real experts — the people who are actually buying your products — and get their advice? We recently polled more than 250 real, verified, registered buyers on the Thomas Network to learn more about today's industrial buying habits. 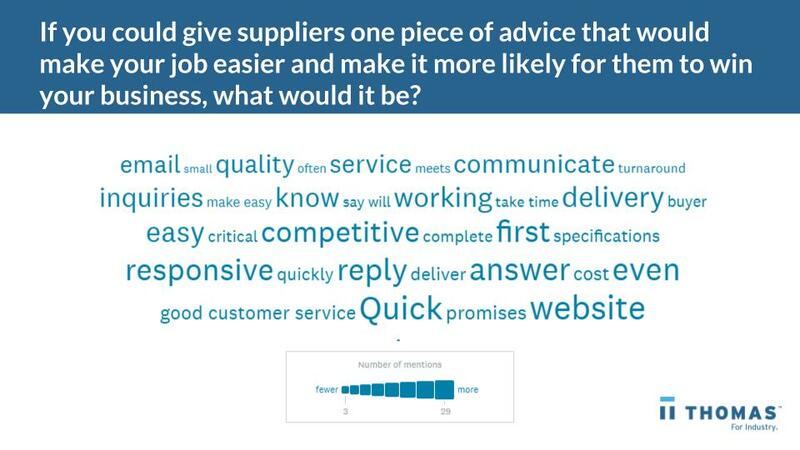 We also asked them to weigh in with one piece of advice that they would give to suppliers that would make it more likely to win their business. Buyers don't want to wait around to hear from you; they expect you to respond to questions, inquiries, and requests in a timely manner. "Provide timely responses to requests. If you cannot provide a timely answer, advise me that you are working on a solution and the date/time that I may expect a response. If it is apparent that you will not be able to respond by the set date/time, advise me before that additional time is necessary with a new deadline. Do NOT 'STRING ME ALONG.'" "Communication is key. Even if the news is not favorable, communication is essential. I prefer to receive acknowledgement that my RFQ was received, confirmation when I place an order, notification when parts are ready to ship, notification of any delays, etc. I always give preference to suppliers who understand the importance of communication. In today's digital-driven supply chain, buyers perform a lot of their sourcing activity online. It's no wonder, then, that many of the buyers we spoke mentioned how critical it is for suppliers to offer a great experience on their websites. "When designing your website make sure that it is informative and most of all easy to navigate," said one manager. "If I struggle to navigate a website you have about 30 seconds of my time and then I am gone." Respondents also pointed out the importance of having rich, accurate, and current product data available via a website. While buyers regularly research suppliers online, they also expect for you to do some research as well. "Do your homework, visit my organization's website, learn how we do business," advised one procurement manager. "Plan for a long haul to get my business." Buyers don't want to haggle over pricing. "Give me the best price first," pleaded a procurement manager. "No games!" Another procurement pro weighed in and said, "Give me your best cost the first time I ask." Transparency in pricing is also important, according to several buyers. 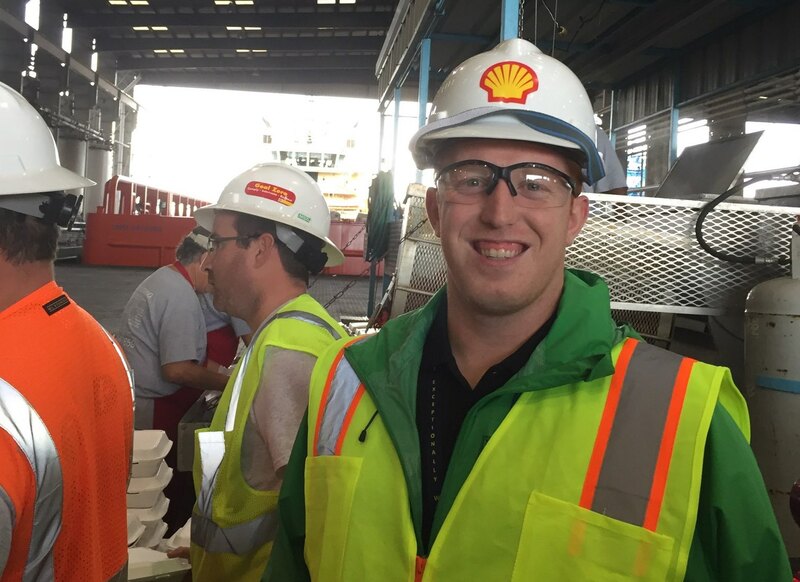 Be transparent with your catalog and manufacturing capabilities," an owner of a company said. " The price for products must make sense and not feel like you are making it up at the moment." For more advice — and more insight into today's industrial buyers — download our free eBook, 2019 Industrial Buying Habits. Find out what 250+ industrial buyers had to say about how they source suppliers, what factors they consider most important, the largest contracts they can award, and more.